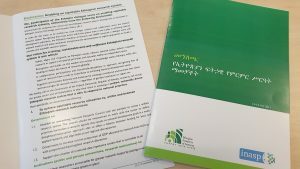 The partnership between INASP’s AuthorAID project and the Faculty of Medicine of the University of Colombo, Sri Lanka to develop scientific research-writing skills for academic staff and postgraduate students was the subject of a Research to Action webinar on 27th April (see below for links to the slides and recording). Dilshani Dissanayake shared her experiences of adapting INASP’s AuthorAID materials and approaches to the University of Colombo, particularly through the introduction of writing clubs that use peer learning and mentoring to boost research-writing skills. In this post, Dilshani, who is a neuroscientist and the lead coordinator of the Research Promotion and Facilitation Centre (RPFC) of the Faculty of Medicine, Colombo, answers some of the questions discussed during the webinar. More information about this project can be found in this recent article: Research writing clubs ensure sustainable skills development. 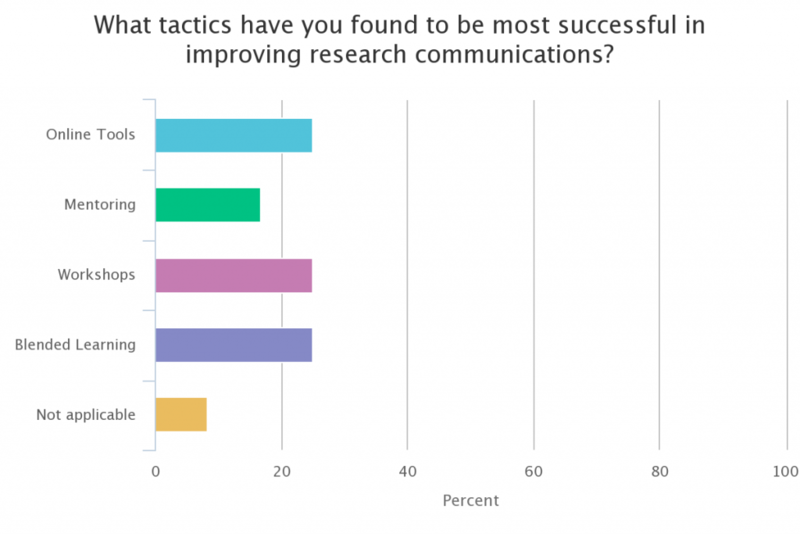 Why is research promotion important? Supporting researchers to carry out, publish and translate research has helped Sri Lanka to come up with national policies to minimize the prevalence and incidence of several communicable diseases including malaria, TB, leprosy, heart diseases and occupation-induced hazards from workplaces such as rice mills. Sri Lanka’s major push to eradicate malaria (see, for example, this article) was successful and the country was declared malaria-free last year (see this announcement from the World Health Organization). Beyond medicine, research into finances, sociology, demography has also helped formulations of national policies to solve problems. What are the challenges with communicating medical research from Sri Lanka? The training received in terms of communicating research is inadequate and not formalized in higher-education institutions in Sri Lanka. Researchers are isolated in some set ups and do not have enough opportunities to be exposed to such training. Since English is the main language used to communicate research to the world, some researchers are worried about the language barrier and are reluctant to publish their findings in international journals. Since we have a lot of high-quality research going on with an immense potential to make a difference in the field of medicine and related fields, it is essential to support these researchers to communicate their findings to the world. 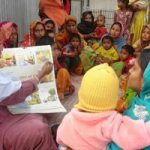 We have initiated a research-writing support programme through our Research Promotion and Facilitation Centre (RPFC), supported by INASP’s AuthorAID project. We initiated the programme as training workshops followed by writing clubs in which potential authors are supported and guided by experienced mentors. During the workshops, mentors and authors receive training on communicating research and mentoring which is helpful to conduct the writing clubs. Writing clubs consist of potential authors (i.e.mentees) and mentors. We have around 25 authors per club. The authors are divided into small groups – about five authors per group. Each group is mentored by one senior mentor and one or two junior mentors. The club meets formally once a month for four months but the small groups communicate with mentors /meet informally between and even after the formal meetings. The mentors discuss with authors regarding their stages of writing, any issues related to writing up and publishing and provide targets to be completed before for the next formal session. The progress of each author is monitored by the RPFC. The mentors and authors need to be guided and supported continually throughout the programme to make sure that they do not lose interest. Constant reminders of the targets initially via emails and also via the online forum help the mentors and mentees to keep track of the progress of the authors and the group. Incentives provided by the RPFC (e.g. certificates) and by INASP (e.g. badges and vouchers for free copy editing from one of INASP’s partners Research Square) also help to maintain the enthusiasm. We have held four writing clubs since 2014, with a total of 51 mentors (18 men; 33 women) and 96 mentees (26 men; 70 women). These clubs have so far resulted in about 10 publications. The number of publications is probably higher considering that the majority had completed drafts of their papers at the end of each club. However, the reporting back to the RPFC once the authors leave the club is still not satisfactory. The research-writing support programme is popular, especially among the young academics and the PhD students of the Faculty, since it is supporting them to get their much-needed articles published for their promotions and completion of their degrees respectively. The clubs have also helped young and senior academics to strengthen their professional relationships and also paved the way for other support systems for research writing to be initiated by the faculty e.g rewarding the mentors and authors once the papers are published. What has happened beyond Colombo? 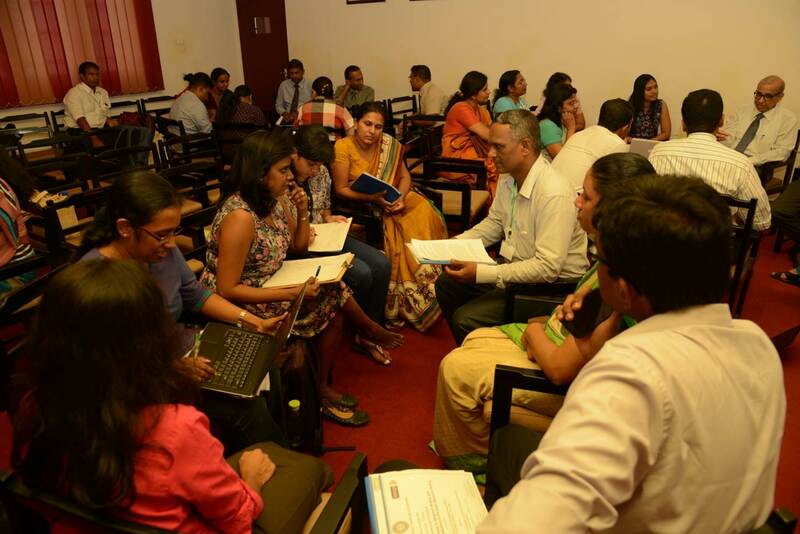 RPFC, with support from INASP, initiated a networking programme for research-writing support with other medical, dental and veterinary faculties in Sri Lanka. The first step was to conduct a training workshop for trainers and to identify key people to carry out the programme in respective faculties. This networking workshop was held in March 2016 for potential trainers in medical, dental and veterinary faculties in Sri Lanka. With the networking programme, Peradeniya Medical Faculty progressed well and received funding and support from INASP. Other faculties such as Ragama Medical Faculty have also initiated writing clubs and planning to conduct training workshops. The National Science Foundation of Sri Lanka will be the latest addition to the network and these discussions are currently going on. We are hoping to expand the network regionally and have already made links with Bangladesh. A representative from a Bangladesh university attended the networking workshop conducted in March 2016. 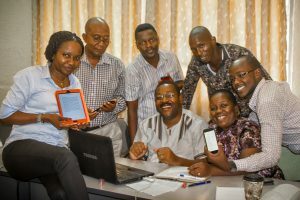 The AuthorAID team has also shared the insights from our writing clubs with other embedding partners in Tanzania and Ghana (there are now 10 institutions in four countries that are embedding AuthorAID approaches into their researcher-training programmes). What are your future plans with your work, after the partnership with INASP? The current research-writing support programme consists of online learning, training workshops and writing clubs. Introducing online learning to the research-writing support programme and maintaining the online discussion forum throughout the period of the writing club attracted more mentors and authors to the club and was very helpful for the success of the whole process. This blended-writing support programme will continue. We have requested funding from our university to continue the programme and we are hoping to expand this programme to our networking partners as well. 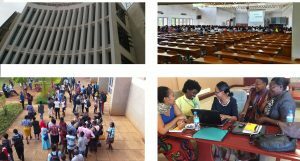 For more about this project, see the recent INASP article: Research writing clubs ensure sustainable skills development. This blog post is based on the fourth webinar in Research 2 Action’s ‘Cup of Tea’ series, with an interview between Siân Harris, Publications and Engagement Manager at INASP and Dilshani Dissanayake, a neuroscientist from the Faculty of Medicine of the University of Colombo, Sri Lanka. If you missed the webinar you can view the webinar slides and the suggested further resources on Slideshare. Or you can watch the webinar recording on R2A’s Vimeo channel. 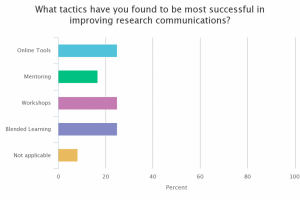 The webinar also asked the audience about their experiences of research communication.